Although we are still living in an era of downsizing and cutbacks, airlines continue to spend considerable dollars for food service expenditures. Why? Airlines are still a very competitive service industry. Although price, punctuality and performance are a traveler’s primary considerations, no food service or poor food service is a big turn off to those expecting airline meals. Economy or Coach presents the traveler with a more cost-effective alternative. While offering a better deal on inflight seating, amenities such as comfortable seating, reading material and meals are usually compromised. Some low-cost airline carriers offer only economy class, such as Southwest Airlines. British Airways and United Airlines offer premium economy class which includes more leg room and better service; United also offers Economy Plus. Usually provided as a free upgrade to frequent flyers and those flying full-fare economy, some airlines will allow a select few to pay an additional fee for the privilege of flying Economy. How do airlines deal with economy meal service? Typically, flights within the U.S. do not provide meal service, only drinks and snacks. Sometimes, one is lucky though to get a boxed meal consisting of a sandwich, salad and a fresh fruit or pre-packaged snack. What alternative is offered to the kosher airline traveler? A kosher meal can be requested prior to departure. Today, due to increased sensitivity to the growing special needs of the kosher air traveler, a sub-industry of inflight food service has evolved. This is known as Special Meals. As reported in EWA Travel, Special Meals are no longer just for those with health concerns or religious restrictions. On most airlines, these include Kosher, Muslim, Hindu, and Vegetarian (dairy and non-dairy) meals. More recently, Special Meals have also incorporated children/toddler, low fat, low salt, low cholesterol, low calorie, low carbohydrate, as well as diabetic, fruit, low gluten, sulfite-free, seafood, soft and bland diets. Note: Each kosher air traveler should check with his or her Rabbi, Rav or Kashrus hotline to determine which certifications noted in this article meet his/her kashrus standards. What are the dynamics of airline catering, and how does kosher airline travel dovetail on the shoulders of this multimillion dollar giant? Is the kosher airline traveler locked into a certain kosher meal service, or does he/she have a choice? As a rule, airlines outsource food service to large caterers specializing in airline meal preparation. Four companies dominating the airline catering business are LSG-Skychefs, Dobbs International Services, Gate Gourmet and Caterair International. These companies are awarded contracts for the various airline carriers and are responsible for the regular meal fare, in addition to Special Meal delivery. 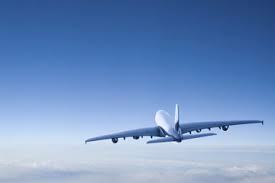 In turn, these food service caterers contract with kosher caterers that specialize in kosher airline food. A popular caterer that is often used to supply domestic and international meals is Milmar d/b/a Wilton, supervised by the OU. Milmar provides breakfast, lunch, dinner and snacks. Meat is Glatt, dairy is OU non-Cholov Yisroel and they also offer pareve items, as well. Since Milmar does not have a commissary at an airport, they provide Frozen Meal service. These are meals ordered by various airline food service carriers that are shipped frozen, according to each carrier’s specifications. Milmar provides different types of packaging configurations, including wide-body plane meals and narrow-body carriers. The cold or preheated meals are placed in an airline meal hot box and loaded onboard. First Class and Business Class meals are double wrapped in real chinaware and sealed with kosher certification tape. They are then sent to the airline food service caterer and served in this fashion to the traveler. After onetime kosher use, the china is cycled into the airline’s regular stock of chinaware. Coach meals are double wrapped in disposable plastic dishes and served with disposable plastic utensils. Milmar provides international flights with kosher airline meals for US Airways and Northwest Airlines, including some domestic flights for Continental Airlines. Furthermore, Milmar contracts with over 50 international carriers that supply Wilton meals for their international flights. Other popular kosher caterers, Weiss and KoshAir, both provide Glatt kosher meat meals under OU certification. Weiss’ dairy meals are OU Cholov Yisroel; the KoshAir dairy meals are OU non-Cholov Yisroel. At JFK International Airport, many airline caterers prepare meals at their airport commissaries. Among them are the Glatt kosher kitchens and bakery of Borenstein Caterers. I was treated to an on-site tour of Borenstein which included a personal interview with Executive Chef Avner Niv. Borenstein Caterers’ meat meals are OU Glatt while the dairy meals are OU Cholov Stam; Regal meals are certified by Rabbi Nuchem Teitelbaum, the Volover Rav. The Borenstein commissary handles many different types of meal preparation. Chef Niv develops meals for all First Class, Platinum and Coach passengers for flights originating at JFK. Borenstein Caterers is owned by El Al; 80% of their catering supplies El Al while the remaining is shared amongst..assorted carriers. These include American, Delta, Lufthansa, South African Airways, and 50 other small airlines whose flights originate from JFK. By mandate, all of El Al’s commissaries are under kosher supervision. The Rav Hamachshir of El Al sets the standard for the entire El Al network. In Israel, the commissary is under the kashrus supervision of the Rav Hamachshir of Ben Gurion airport. In Canada, the commissary is certified by the COR of Toronto; in England the London Beis Din; and in France the Paris Beis Din. In Thailand the commissary is certified by Rabbi Kantor, and in the U.S. by the OU. Since all of the commissaries are approved by the El Al certifying rabbi, El Al’s chinaware circulates between all ports of call. Traveling from Eretz Yisroel, regular kosher airline meals are under the supervision of the Rabbi of Ben Gurion airport and are provided by the commissary located in the airport. Airline travelers who request Glatt kosher meals with Mehadrin hashgacha receive meals from Hamasbia Caterers, which are certified by the Bedatz of the Eida Hachareidis are prepared on disposable dishes that are double wrapped and sealed. As with all airlines including El Al, the Mehadrin meal is limited only to the food being served in closed packages. Any extra food amenities, such as additional bread or rolls, offered by the steward or stewardess are not part of the Mehadrin meal. In Canada, most kosher international and domestic flights originate in Toronto or Montreal. The major kosher airline caterer is Sky Kosher Cuisine Operations providing Zuchter Berk Creative Caterers, certified kosher by COR of Toronto. Sky Kosher provides Glatt kosher meat and dairy Cholov Yisroel meals year-round; Passover meals are also available. Cara Operations, also certified kosher by COR, serves Glatt meats as well as Cholov Yisroel dairy, Pas Yisroel and Yoshon. El Al flights originating in Canada serve meals from the Cara commissary. Kosher caterers that service Montreal flights include Ernie the Caterer and Kosher Cravings, both certified by the Montreal Vaad Hoeir. All meat meals are Glatt kosher and all dairy meals are Cholov Yisroel. In England, the undisputed king of airline catering is Hermolis caterers, certified by Kedassia. All the meals are exquisitely prepared and packaged. The meats served are only Glatt and the dairy is only Cholov Yisroel. Upper class service is treated to wine and fancy desserts with their meal. Hermolis is the exclusive kosher airline service of British Air, as well as many other fine airline carriers including those from China, Japan, Thailand, Malaysia and Singapore. In continental Europe, many local airline caterers are supervised by the local rabbinate or certification agency of a specific country. In Switzerland, Achim Caterers is under the supervison of Rav Padwa, Rav Hamachshir of the Orthodox Israel community of Zurich. In France, the large airline caterer is Servair which is owned by Air France and operates a kitchen under the supervision of the Paris Beis Din. The Paris Beis Din also supervises El Al’s French commissary. Sabena airlines in Belgium uses two airline caterers, Fogel and Lanxner. Fogel caterers, under the supervision of the Machzikei Hadas in Antwerp, produces conventional airline meals. Lanxner airline caterers of Brussels, certified by the Machzikei Hadas of Brussels, packages their meals hermetically. These meals are sealed in tins that do not require refrigeration, which from a kashrus standpoint is of great benefit. The container is closed with a tamperproof seal, and each tin is laser coded with the product name and the kashrus symbol. The meals have a two to three-year shelf life, but the quality of hermetically sealed meals versus conventional airline meals is compromised. Lufthansa serves Glatt kosher meals from Sohar Kosher Restaurant, certified by Rabbi Menachem Halevi Klein of Frankfurt. Shirley’s Deli, Bakery and Caterers in South Africa is supervised by the Johannesburg Beth Din. They provide meals for South African Airways and other flights departing from South Africa. A traveler must be well informed when dealing with meal service from Eretz Yisroel. Some wines may be non-mevushal (not pasteurized or cooked), which would be problematic for the Torah observant passenger, as only Torah observant Jews can handle non-mevushal wines. The same restrictions do not apply to mevushal wines (pasteurized), which may be served by any steward hired by the airlines. It is also questionable whether or not terumos and maasros (tithes separated from agricultural produce) have been removed from regular kosher meals originating from Israel, or from Israeli meals served onboard other flights. As previously noted, El Al now carries Glatt kosher meals from Hamasbia caterers under the supervision of the Bedatz Eida Hachareidis. Hamasbia indicates that rolls that are served with their meals are Mezonos and are generally considered to be pas habah b’kisnin (similar to bread but more cake-like or sweet in taste, or baked into a crisp hard cracker-like texture). When this type of roll augments a meal, it fulfills a bread-like criteria requiring one to wash and make Hamotzi. 1) Kosher meals should never be accepted by the passenger if there is evidence of tampering. This refers to a broken double seal or puncture on the hot portion of the meal, or the removal of the plastic wrap encasement of the unheated section of the cold portion of the meal. Flight attendants are not always instructed on the proper protocol when serving a kosher meal. Although well meaning, they often prevent the passenger from enjoying his/her meal. 2) If the meal is served in two segments, a hot and a cold portion, always check that the hot and cold portions come sealed and labeled. Furthermore, the passenger should make sure that the portions correspond with each other, meaning both parts should be labeled “meat” or “dairy”. It is possible that the components could be mixed, or that a non-kosher cold portion could be mixed with the kosher hot portion. Similarly, air travel on Chol Hamoed Pesach(intermediate days of Passover) could be difficult, as an entire non-kosher for Passover meal could be served, or a chametzdik meal could be mixed in. 3) If one brand of airline meal is served on one segment of a multi port-of-call trip, it does not necessarily mean that the same brand will be served throughout the trip. A traveler must carefully review the trip with the airline or his/her travel agent to arrange for proper kosher meal service. 4) If more than one type of airline meal is offered on an airline carrier, do not assume that there is a choice onboard. Requests should be submitted well in advance and reconfirmed 24 hours before departure. 5) It is always advisable to bring your own brown bagged meal on the airplane “just in case”. It is also interesting to note the unique and diverse destinations of the kosher airline meal. These can be as remote as an Alaskan cruise or Hawaiian island retreat, or as nearby as the local hospital or hotel. Unfortunately, many hospitals try to accommodate a kosher patient without the luxury of a kosher kitchen. A good hot kosher meal can nourish the soul and the appetite of the convalescing patient. Typically, the hospital freezer is often well stocked with frozen kosher meals. These meals are double wrapped and can be conveniently popped into the regular hospital oven. These meals are made in disposable dishes and are served with disposable cutlery. You might say, “so far so good. What could go wrong?” Not so fast. Most kosher patients may be unaware that hospital kitchens serve bread, beverage and dessert from the non-kosher kitchen, with a hot kosher entrée that is not part of the frozen kosher meal. At the best of times, discovering that one has consumed non-kosher food can prove very upsetting, how much more so to the recuperating patient. Therefore, the patient and/or the patient’s family needs to be very aware and on top of this situation. It is critical for the local Vaad or community Rav to educate the hospital dietary staff concerning the fundamentals of kashrus so as to avoid innocent mistakes. Similarly, hotels will often keep kosher meals in their inventory should the need arise. However, attempts at making kosher food more appealing by serving it on hotel chinaware are foiled when frustrated and hungry guests are deprived of their meal. For the hospital or hotel food and beverage staff, education concerning the ins and outs of handling kosher meals will cause customer satisfaction to soar. * At the time of this article. This chart is for informational purposes only.